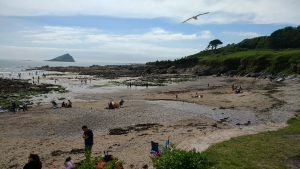 Wembury beach and surrounding area is a magnificent part of the Devon coastline; designated as both an Area of Outstanding Natural Beauty and a Site of Special Scientific Interest. It is a beautiful area to walk and explore and from here you can access the South West Coast Path. Located next to the beach is Wembury Marine Centre which opens for the summer season on Saturday 6th April. The centre offers a range of nature based events throughout the summer. Why not join them for a Rockpool Safari? Find out more at wemburymarinecentre.org/events/.